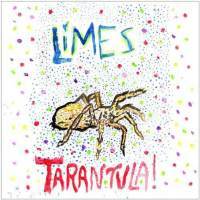 Limes’ Tarantula Plus Blue Blood is like the soundtrack to some enthralling, atmospheric indie film. In fact, it somehow works as both film and soundtrack, quietly stitching together small, affecting moments and midnight contemplations into a rambling and evocative whole. Memphis-based Limes may be a little-known band, one considerably outside the current indie zeitgeist, but, as demonstrated in this hybrid reissue, they seem to know exactly who they are, and the product of their experience is off-the-cuff, pretty magical, and seemingly complete unto itself. Which is no small achievement, and despite being six and five years old, respectively, Tarantula! and Blue Blood (the two releases from which this reissue, cleverly titled, is compiled) feel impressively unique and totally at ease with themselves. Limes’ best-known record was last year’s accomplished Rhinestone River, their first on Goner. Now the label is dipping back into the band’s catalog: Tarantula! (2005) was a limited release on the small Death Valley label, and the following Blue Blood (2006) was a good ol’ fashioned homemade CD-R. Luckily the band, led by singer-songwriter Shawn Cripps and his revolving stable of Memphis-based musicians (most notably multi-instrumentalist Harlan T. Bobo), don’t play the kind of music that demands a professional studio polish. In other words, and in a nutshell, Limes are almost the opposite of polished: sloppy, stream-of-consciousness folk-blues. Cripps’ story in particular is pretty far from rock glamour: the 43-year-old high school dropout and former carny has worked for years as a truck driver (though he quit last year to focus on the band), writing and recording songs on the road and in the cab of his truck. So he has some stories to tell, for sure, and tells them in a winding, weary blizzard of poetry and guitar, of spelling mistakes and ugly feelings. It is “Pop Music,” however, that’s Tarantula!’s best example of what makes Cripps such an interesting songwriter. “Pop Music” (an unquestionably sarcastic title) is a rambling indictment of a girl (“She knows who she is”), employee of a fabric store outside of which Cripps lurks. “You haven’t been returning my calls,” he slurs repeatedly, adding a hint of malice, “Maybe I talk too deep for you.” Cripps’ protagonist toes the stalker line a bit when he follows her home: “You were standing in the driveway / With, y’know…him.” “Pop Music,” with its lack of structure, rhyme scheme, or metaphor, may be unappealing at first, but such is Limes: Cripps’ bluntly escalating story, his deadpan delivery, there’s a special kind of compelling in those. And as the guitar and drums circle and snap on the petty refrain (“Maybe I talk too deep for you”), it feels real, moving, and kind of perfect. Though I listened to and enjoyed Tarantula! before even getting around to Blue Blood, I somehow enjoy Blood and its sad, graceful melodies even more. Blue Blood is instantly less charismatic, a couple of long-winded instrumentals rounding it out. Though Cripps’ subject matter is less varied and his words sparser, Blue Blood ends up more cohesive than Tarntula!, both lyrically and sonically. Cripps wanders the streets at night, drifting into bars, having conversations with poetic friends, and dwelling on lost loves. The one-two punch of “Rays of Love” and “Allright Tonight” in particular is enough to leave one feeling, right in the pit of the stomach, that those places where Cripps wallows aren’t too far away. It’s elegiac but not grandiose, just like the Hold Steady or the Boss do. It’s plain-spoken, but somehow more engrossing for it. And it perfectly encapsulates the appeal of a songwriter who’s gone unnoticed for far too long, for both the sake of potential listeners and for the sake of the man himself.